You are accountable for a range of outcomes and activities in your workplace and you want them to be the best they can be. There are programs that need to deliver an important outcome, projects that need to be delivered, policies that need to be implemented, administrative processes that need to be streamlined, risks & issues that need to be managed, and “wicked” problems that resist your best efforts to resolve them. And sometimes you just have a nagging feeling that, although things seem to be going along smoothly, the ever-changing business environment is about to rock the boat. 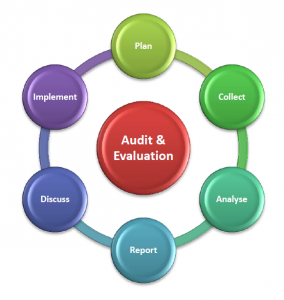 Hub Staff have many years of experience auditing & evaluating programs, re-engineering business processes, and reviewing various projects, processes, policies & practices in government departments, utilities, research organisations, & not for profit organisations.